Most of us go to some lengths to protect our health. We may have an annual physical to catch issues early because we know how hard it can be to fix something once it’s broken. The same is true of our aquifer – the underground source of this region’s drinking water. Unlike a heart that can be transplanted, we can’t replace the aquifer. Once it’s broken (contaminated), it can be enormously expensive to fix and sometimes can be beyond repair. An ounce of prevention really is worth a pound of cure – and more – when it comes to the aquifer. 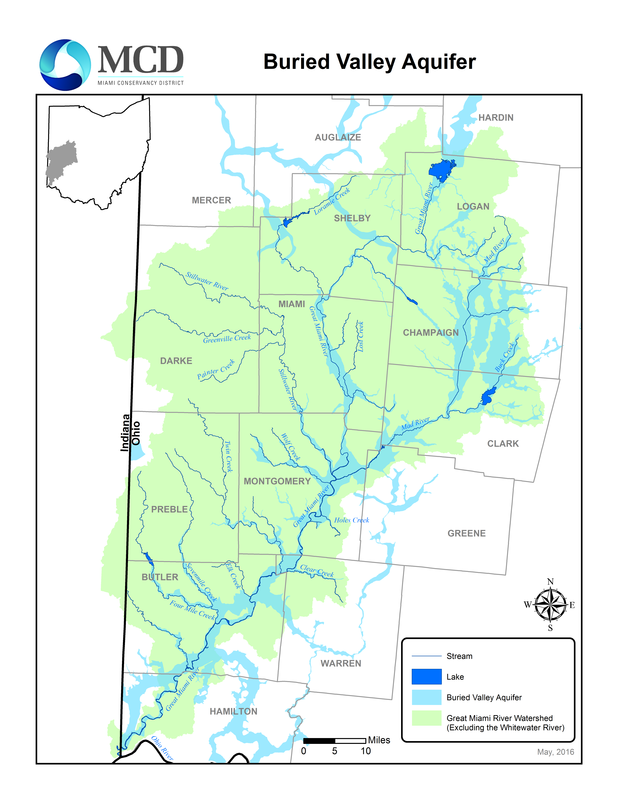 That’s why the Goundwater Guardian Green Site designation is a program we actively encourage for groups within our 4,000-square-mile Great Miami River Watershed. Green Site designation helps promote and protect our groundwater by recognizing organizations that are good groundwater stewards and encouraging them to install more groundwater-friendly practices. MCD sponsors organizations that apply for Green Site designation, pays their Green Site administrative fees for two years, and reimburses organizations up to $2,000 for installing new groundwater-friendly practices. MCD encourages new projects that protect groundwater and are located over the Buried Valley Aquifer, are located near source water areas, show measurable results, and function over a long period of time. Pounds of fertilizer saved annually by using hardier plants. Gallons of water saved annually by using drought-tolerant plant materials. Amounts of toxic substances disposed of properly, and other related items. The Groundwater Foundation first named MCD a Groundwater Guardian Green Site in 2010. MCD’s designation covers all of its dams and flood protection features in the cities it protects, covering more than 1,780 acres. Since 2011, MCD has assisted many communities in earning Green Site designations. Won’t you join us? Contact me at shippensteel@mcdwater.org with questions or if you need help completing the application.